The administrative acumen of His Grace is far beyond what words can express. His Grace is a spiritual leader, dynamic enabler, prolific orator, voracious reader, pungent writer, tactful negotiator, valiant defender of the law, compassionate at heart and a wonderful team man. 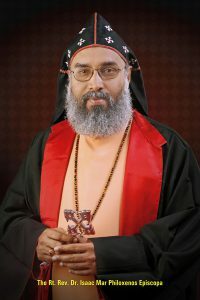 Joseph Mar Thoma Metropolitan belongs to the Palakkunnathu family in Maramon from which have come Abraham Malpan, the reformer and the first four Bishops of the Church after the reformation. His Grace had his theological training at the United Theological College, Bangalore and Protestant Episcopal Seminary in Virginia, USA. His Grace also studied in theological institutions in Canterbury, Oxford and was awarded the honorary degree of Doctor of Divinity by Virgnia Seminary where he studied. Mar Theodosius studied at Baselious College, Kottayam and Mar Thoma College, Thiruvalla. After taking a degree in Science he joined Leonard Theological College and took B.D. Degree in 1972. His ordination as ‘Kasseesa’ was in the year 1973. In 1980, he took a Master’s Degree in Comparative Religions from Visva Bharathi University and Doctorate from McMaster University, Hamilton, Canada in 1986. 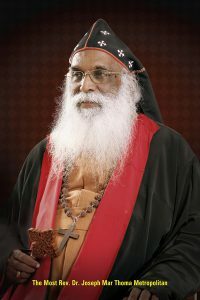 He was consecrated as Episcopa on December 9, 1989 along with Mar Athanasius and Mar Coorilos. From 1973 onwards, he was in charge of several parishes including Mumbai, Calcutta, Toronto and Nanthancode and he served as Director of Thomas Mar Athanasius Orientation Centre, Manganam. On consecration as Episcopa he was given charge of Kunnamkulam – Madras Diocese. 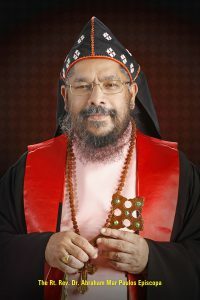 He was the Episcopa of the Chennai – Bangalore and Malaysia – Singapore – Australia Dioceses. Mar Coorilos completed his degree and Post Graduate studies from Sacred Heart College, Thevara, Cochin and Christ College, Irinjalakuda, he joined Mar Thoma Seminary, Kottayam for Theological education. In 1978, he became the Kassesa and subsequently served as Parish priest at Jalahalli, Palarivattom, Colaba and Staten Island, and other Parishes. 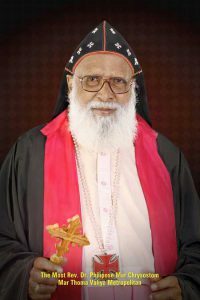 On December 9, 1989, he was consecrated as Episcopa and was in charge of the North America-Europe Diocese and Kottayam – Kochi Diocese. Mar Barnabas took his degree from CMS College, Kottayam and later on studied at Bishop’s College, Kolkatta. Ordained in 1976, he has served in different Parishes in Anakulam, Mumbai, Chempur, Thurithicad, North Madras and Edmonton Parish in Canada. 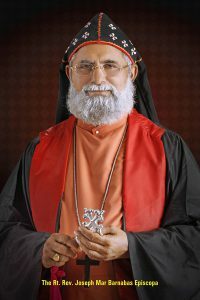 Mar Timotheos did his college education and Post Graduation in Gujarat, he joined Union Theological College, Bangalore for his theological studies. He worked as a lecturer for a short period in Gujarat and was ordained in 1983 and served as a Parish priest in various places including – Surat, Barooch, Vapi and Gudalur. He was consecrated as Bishop on October 2 1993. 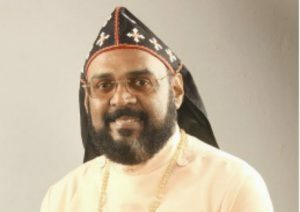 He was in charge of the Kunnamkulam – Malabar Diocese. Born at Attupurathu House, Mavelikkara, Kerala, had college education at Bishop Moore College, Mavelikkara and Banaras Hindu University and studied theology at Bishops College, Kolkota and Princeton Theological Seminary. Secured Ph.D. from Banaras Hindu University on the topic “Doctrine of grace in Vaishnavism and Christianity”. This helped in initiating inter – religious dialogue in the Indian context with people of other faiths. Dr. Abraham Mar Paulos hails from Kanjirathara family, Kottayam. St. Peters Mar Thoma Church, Manganam is his Home Parish. His basic education was at Government L P School, Muttambalam, M T Seminary High School, Kottayam, CMS College, Kottayam and Basileos College, Kottayam. He had his Theological training from Mar Thoma Theological Seminary, Kottayam and Princeton University. He took Doctorate in Christian Education from Boston University. He had been ordained as Deacon on 31/05/1980 by Dr. Joseph Mar Irenaeus Suffragan Metropolitan at Manganam St. Peters Mar Thoma Church. His Ordination as Kassessa was on 28/06/1980 at St. Thomas Mar Thoma Church, Tiruvalla, by Dr. Alexander Mar Thoma Valia Metropolitan. The Sabha Prathinidhi Mandalam held on 11/01/2005 elected him as the Episcopa of the Church. 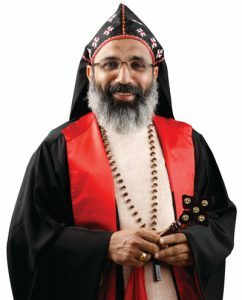 He was ordained as Ramban on 11/02/2005 at Jerusalem Mar Thoma Church, Kottayam by Geevarghese Mar Athanasius Episcopa. On 14th May, 2005 he was consecrated as Episcopa of the Church at S C Seminary Tiruvalla by Dr. Philipose Mar Chrysostom Mar Thoma Metropolitan. 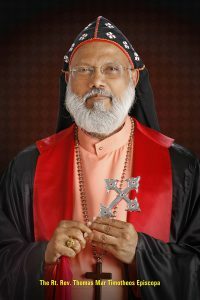 He served in different Parishes such as Naranamoozhy, Kattikkalaruvi, Thonikadavu, Ranni Pazhavangadikara, Trivandrum Paruthippara, Karthamangal, Bangalore, Kaithakuzhy and Boston. He has also served as the Chaplain of St. Thomas Schools, Trivandrum and as Diocesan Secretary of Trivandrum – Quilon Diocese. His tenure as General Secretary of the Sunday School Samajam was the exemplification of his leadership qualities, organizing capabilities etc. The centenary celebration of the Sunday School Samajam including the Children’s Maramon under His leadership was a remarkable one. Consecrated as Episcopa on the Silver Jubilee year of priesthood. Thirumeni completed his bachelor’s degree in Theology from Kottayam Vaideeka Seminary (1975–1978). Makarios Thirumeni was ordained as a Deacon on April 21, 1978 at Kozhencherry St. Thomas Mar Thoma Church by Joseph Mar Ireaneus Episcopa and as a priest on May 22, 1978 at Thiruvalla St. Thomas Church by Alexander Mar Thoma Metropolitan. He was ordained as a Ramban on May 7, 2011 and consecrated as an Episcopa on August 13, 2011. 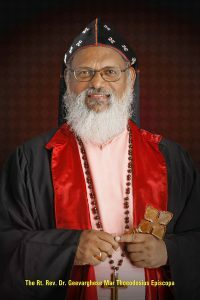 Thirumeni served as a priest in parishes at Ranny Valiyakavu MTC, Karimpanamkuzhy MTC, Kumali MTC, Anakkara MTC, Vandenmedu MTC, Calcutta MTC, Nattaseri MTC, Sydney, Australia, New Zealand parishes, and Othara Ebenezer MTC. He also served as the student chaplain in the Kottayam-Ranni Diocese and as Bahya Kerala Eastern Zonal Secretary. Thirumeni taught New Testament for 18 years at various institutions including Leonard Theological College, Jabalpur, Mar Thoma Theological Seminary, Kottayam, and FFRRC. Thirumeni also served on the Research Committee of Serampore University, Calcutta and Dean of Doctoral Studies at FFRRC. 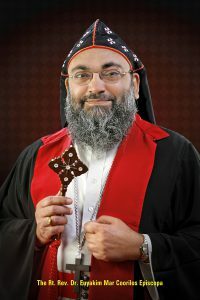 Bishop Mar Stephanos (Rev. K. V. Varkey) was born on March 16, 1959. He is the son of Mr. K.P. Varkey of Kinattukara Parayil house and Kunjamma of Chengannur Plamoottil house. Thirumeni’s mother parish is St. George MTC in Fort Kochi. He obtained B.A. and M.A. in Philosophy from Maharajas College, Ernakulam, and M. Phil from Madras Christian College. Thirumeni was in the University football team while studying at Maharaja’s college. He served as a priest in parishes at Bilaspur, Corba, Ambikapur, Chetpet, Thambaram, St. Thomas Mount, Kolalampur, Ranchi, Mumbai Santacruz, Maramon, Venmony Sehion, and Kavum Bhagom Ebenezer. Thirumeni also served as the Principal and Manager of Ranchi St. Thomas School, Vice President of Ranchi Education Society, Missionary at Ranchi Navajeevan Kendram, manager at Maramon A.M.M. School, Vice President of Niranam-Maramon Voluntary Evangelistic Association, Vice President of Niranam-Maramon Development Board, and Secretary of Mar Thoma Medical Mission. He obtained his graduation in Science from Catholicate College in Pathanamthitta. Thirumeni completed his B.D. from Kottayam Theological Seminary (1982–1985). 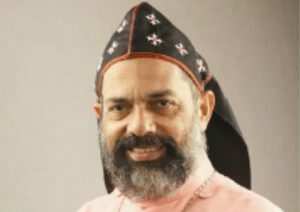 He was ordained as a deacon on June 1, 1985 at Adoor Kannamkode MTC by Easow Mar Timotheos Episcopa, and as a priest on June 14, 1985 at Kottarakara MTC by Easow Mar Timotheos Episcopa. He was ordained as a Ramban on May 7, 2011 and consecrated as an Episcopa on August 13, 2011. He received his Masters degree in Sociology from Indore University and M.Th. and Ph.D. from Dharmaaram Theological College, Bangalore based on the subject “Holy Communion and Spirituality”. He also had his higher education from Amsterdam University, Netherlands during his doctoral studies. Thirumeni served as priest in parishes at Chengaroth, Chempanoda, Anakulam, Gandhigram, Bhuj, Bhav Nagar, Mumbai Goregaon, Colaba, Thumkur, Kalamassery, Chengannur-Thittamel, Pularicadu, and Chirayirambu. He also served in the Diocese of North America & Europe at Long Island MTC, New York, St. James MTC, New York, and St. Andrew’s MTC, New York.